Susanne Hanna Ursula Quandt is a Bad Homburg-born German businesswoman best known for being the daughter of the late Herbert Quandt and Johanna Quandt, the former owners of motor company BMW, and pharmaceutical and chemicals manufacturer Altana. Born on 28 April 1962, Susanne is the heiress of her father’s properties and is the fourth richest person in Germany at the present. The 54th richest person in the world, one may wonder what is the net worth of Susanne as of now? In early 2016, Susanne’s wealth counts at the amount of $16.8 billion. Needless to say, most of her wealth has been amassed from being the heiress to her parents’ vast property. Her holdings in Altana and BMW that she inherited from her parents have been the most significant in adding to her net worth over the years. Raised in Bad Homburg, Susanne attended the University of Buckingham and earned an MBA degree in advertising from the International Institute for Management and Development-Lausanne. She started her career working at the advertising agency of Young & Rubicam and later worked at Dresdner Bank and Bankhaus Reuschel & Co. When Susanne’s father died in 1982, she inherited his 50.1% stake in Altana and started serving as a member of supervisory board in the company. This beginning of her career is also the point of her life when her net worth started rising significantly. At the time of Herbert’s death, Susanne was also left with a 12.5% stake in BMW. Eventually, she and her brother Stefan Quandt were appointed to the supervisory board of BMW in 1997. 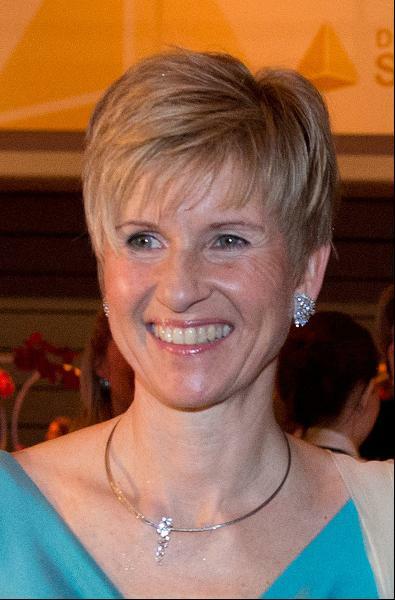 Apart from Altana and BMW, Susanne also owns a 25% stake of Nordex, a German turbine manufacturer, and holds stakes in the Dutch biotech company, Paques and the recycling company, Avista Oil. Her holdings in all of these large companies have been yielding billions of dollars each year to Susanne and have made her one of the richest personalities in the world. Along with business, Susanne is also active as a philanthropist. She is one of the biggest donors to the Christian Democratic Union, a political party in Germany. She also serves as the member of the council at the Technical University of Munich. For her contributions in the field of education, she was awarded the Bavarian Order of Merit in 2007. All of these philanthropic activities have made Susanne one of the more highly regarded personalities in Germany whose contributions towards German education system are worth the praise. As for Susanne’s personal life, she has been married to Jan Klatten, who used to be an engineer at BMW, since 1990, and they have three children together. They currently reside in Munich, from where Susanne looks after all her holdings and businesses. As of now, Susanne has been enjoying her life as a successful businessperson, a mother as well as a wife while her present net worth of $18.1 billion has been catering to each and every one of her needs.